The Magma Ultimate CD bundle features the standard CD version of Magma. The limited edition 52 hard-cover book serves as a visual companion to Magma. It includes exclusive photos, sketches and artwork from the creation of the Magma album. It gives a unique look into the album through Joe and Mario Duplantier’s personal sketches and artwork. The exclusive ‘Mountain Eye’ T-Shirt was designed by Mario Duplantier and served as one of many inspirations for the album artwork. 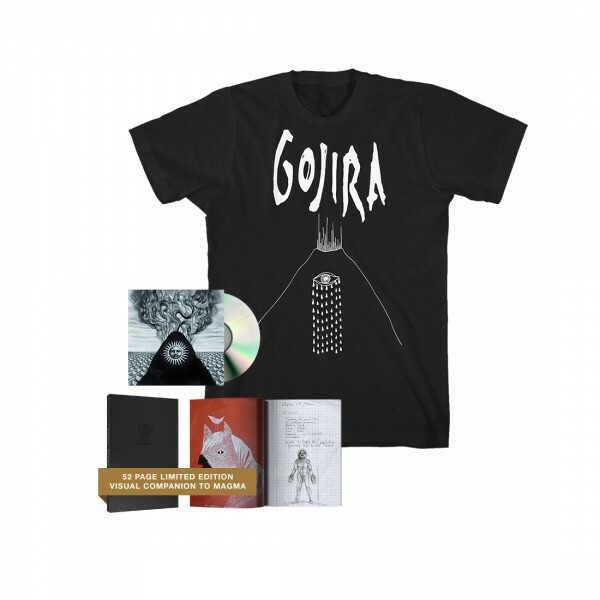 This bundle also includes a DVD and digital download (delivered on release day) of the band’s legendary performance at 2015’s Rock In Rio. A 1-time live stream never repeated again with the audio mixed by the band. This performance is available only with the Magma pre-order, check out the trailerhere.